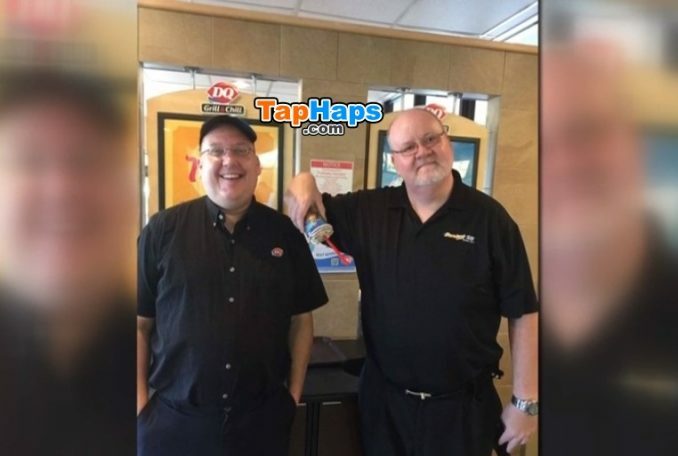 A Dairy Queen store found itself in serious trouble after posting a controversial sign. What makes it even worse for some people? The owner refused to apologize for it. 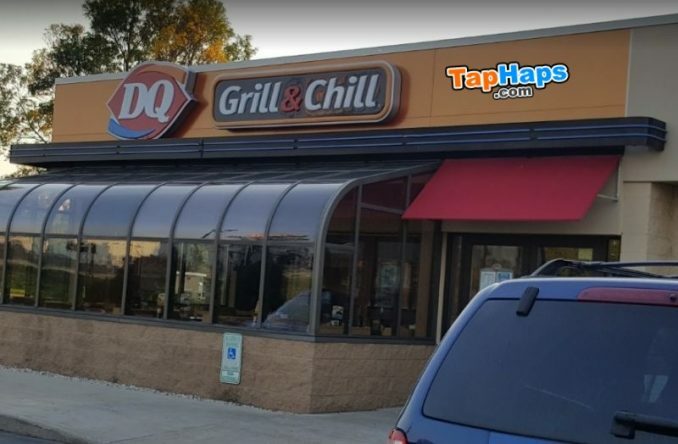 A Dairy Queen restaurant in Kewaskum, Wisconsin has garnered unexpected attention after a sign went viral. Hanging on the front window for years is a sign with an unmistakably bold yet controversial message to patrons. With just a few phrases that we commonly hear, the sign garnered attention as it started a debate when it was spotted by an out-of-towner. Printed in red and white, the post easily grabs one’s focus before they enter the door. 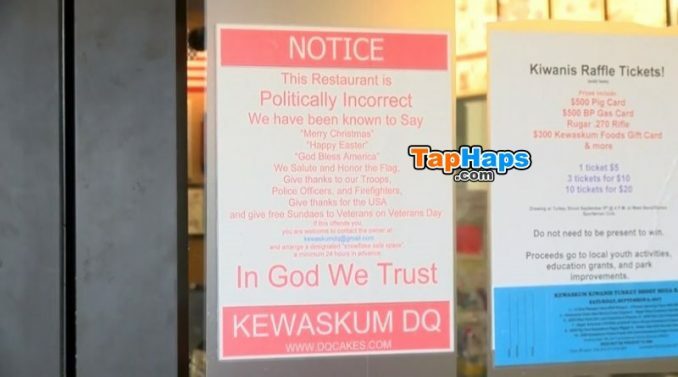 Displayed for all to see, the sign “warns” those entering the Kewaskum Dairy Queen that “this restaurant is politically incorrect,” noting that staff say “Merry Christmas,” “Happy Easter,” and, “God Bless America,” according to WDJT-Milwaukee. The sign was first hung years ago after Scheunemann received a customer complaint about Christian music playing in the restaurant, according to the owner, and it was seemingly effective in snuffing out any further objections. Remaining in place for years without any other issues, the sign only drew attention when an out-of-town guest from Oregon took notice of it. 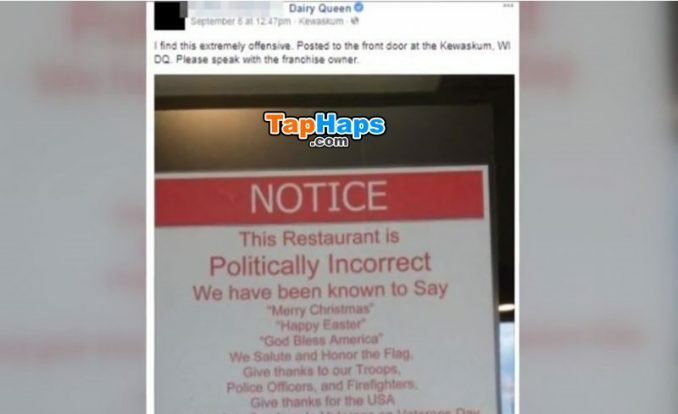 The Oregon guest posted a picture of Scheunemann’s sign on Facebook with a complaint that read, “I find this extremely offensive,” explaining that it was “posted to the front door at the Kewaskum, WI, DQ,” and asking Dairy Queen’s corporate office to “speak with the franchise owner.” The image of the sign quickly went viral. After receiving a tremendous amount of attention, the original post, expressing concern for what the Oregon guest felt were seemingly exclusive ideals represented in the message of the sign, was later deleted, according to KIRO. At least one commenter expressed relief over the post’s removal, saying that they wondered why the message caused such vitriol among some people. “There are some people [who] are agreeing with the sign (and that’s okay), but at the same time are making personal attacks towards the person who shared the picture and voiced her opinion (which is definitely not okay),” the social media user explained in a comment. But, that was just one reaction to the controversy that unfolded. 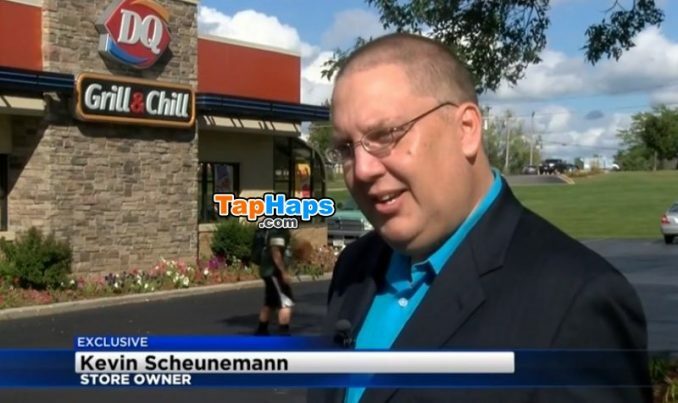 Not only have people traveled from all around to visit the DQ location and show their support, local business owners agree with Scheunemann’s decision to hang the sign as well, stating that the customer can decide not to enter if they disagree with the owner’s expression of his beliefs. “He posted it on the door so you see it before you walk in,” explained April Serwe, another local business owner. “You don’t have to walk in if you don’t agree with it.” And, April isn’t alone in her sentiments and support for Scheunemann being able to run his business as he wishes, either. 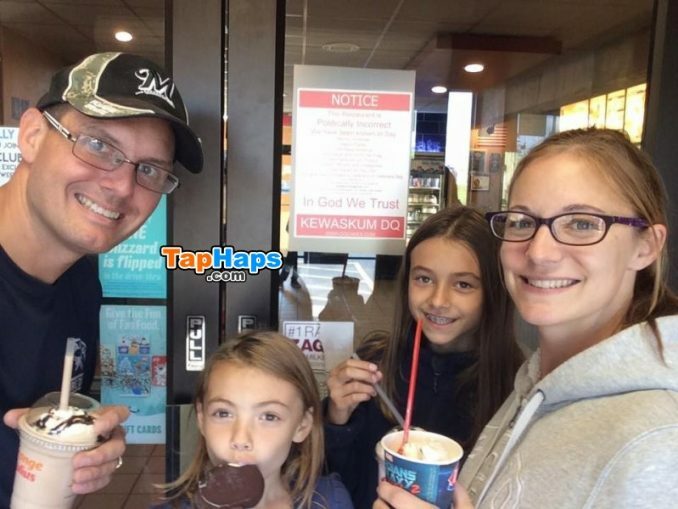 Wisconson State Representative Jesse Kremer visited the DQ location with his family and posted the above photo to social media with a caption that read, “Thank you CBS 58 and a friendly Oregon visitor for making our hometown Dairy Queen in Kewaskum the latest Wisconsin tourist attraction! Happy to see that the owner has not backed down from his 1st amendment right to Free Expression!” In his post, Kremer continued, “FYI this sign has been on the door for four years!” and included the hashtags #WITourism and #WICampusFreeSpeech. Not only do local business owners and politicians support franchise owner Kevin Scheunemann, but local residents do too. “In this small community, I don’t think it’s a problem,” said Liz Torrison, a resident who was interviewed by the local news. “We’re all just liking each other and having fun,” she added.